This cross-country skier representing Venezuela at the Nordic World Ski Championships in Finland may just be the worst, and most endearing, competitive skier in sporting history. 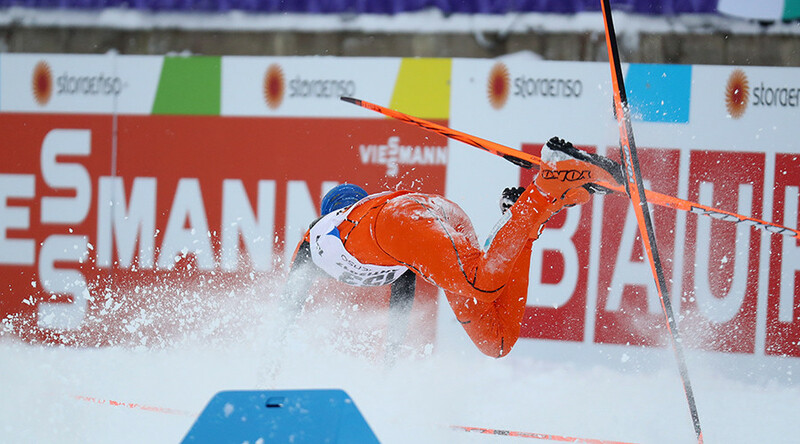 Adrian Solano represented his country at Lahti 2017 on Tuesday, but after wombling his way past the starting line, stumbling his way through the course and failing to finish the race, he entered the running for the world’s worst skier. As it turns out, Solano had never skied on snow before the event and had only trained on wheels. In fact, Adrian was due to spend a month training on snow in Sweden in the run-up to the competition but was deported from France before he could arrive because they didn’t believe he was a legitimate skier. "When I got to Paris on 19 January, I explained that I was on my way to Sweden to train. They did not believe that I ski in Venezuela,” Solano told AFP. "I told them that we train on wheels. I only had €28 with me and the police accused me of trying to immigrate because things were going badly in my country," he added. “I missed a month of practice on the snow. But I am still trying because this is my dream." He certainly didn’t qualify for the winter sports event but Solano has managed to win the internet’s icy heart with his positive attitude. Adrian Solano is my hero. had balls to fly into France with only 28 euros. and to enter world class competition with no skills. THE Man! #adriansolano is an example of man who you need to be. A GoFundMe page, set up to raise money for Solano’s skiing dream, has surpassed its goal of €4,000.